If you were here a couple of weeks ago, you know that Dad and I textured and painted the kitchen. (Mostly Dad) The color we settled on is Sherwin Williams Buttery. I'm absolutely loving this color and the way it blends with the rest of the house. My huge kitchen window ended up naked because a girl just can't put the same window treatment up again after painting. You agree right? I decided to mistreat the window in Nester fashion. As most things are with me this was not the quick and easy thing that she makes it look like. I went to four different fabric stores and 2 Hobby Lobby stores trying to decide on fabric and trims. Then because my window is 108" wide I had to go all over town looking for a curtain rod that wasn't ready to hang velvet draperies in a library. By that I mean that when you find a rod that long it is usually massive overall for hanging real draperies. Anyway. I made a valance using Stitch Witchery first off and hung it up with hooks. I went back to the fabric store and found the most perfect fringe. That perfect fringe was going to cost over $60.00....um, no. Then I drove all over town again looking for similar fringe that would cost less. Gave up. I decided to cover buttons in contrasting fabrics. Now you know it's supposed to be really easy to cover buttons. Let me tell you it hurts your fingers! Cute but you can't see them from a foot away. Decided to make a cuff at the top of the curtain from the contrasting fabric. I think I like them now. Here's a view a little further away. They aren't perfect but they fit in with the overall look I'm going for. oOh, girl..I am thinking that, if I weren't so much older than you, we were seperated at birth. I have done this over and over and over...how does The Nester make her's look so fabulous? Now, girl...these are looking really great. I would love to see your whole kitchen, with the new yellow walls and the new toppers all together. Can you do that for us? Actually, I think you did a great job and have you thought of using the really LARGE ball fringe? I adore ball fringe and it's not expensive...I think. Stacey girl...you are doing the overthinking....we are soo guilty of that! Can you take a further away picture? And have you checked the fringe clearance at Hobby Lobby? Where would you put the fringe...between the green and red or at the bottom? Y'all are so nice to respond so quickly. I will continue to look for fringe. I'm guessing by the questions that you think I need fringe. :) I love ball fringe too BJ..I will look some more. Ceekay, my hubby thinks we need fringe at the bottom. Cracks me up cuz he rarely cares. Love the way it turned out with the contrasting fabric! Personally I think it's really pretty without the fringe but if you decide to add it, that would look nice too. I had to cover buttons for my computer chair cushion and had the hardest time! My poor husband ended up with that job, and he did good! You made it look so easy. I tried doing grommets one time, and it wasn't alot of fun either! Like the fabric you chose. Those look great! I love the fabrics you chose! Stacey: I am loving this!It's funny how we will do something and then just tweak and tweak til we get it like we want it! I think it looks GREAT! I am a new blogger too and thank you for visiting my page! I get so excited when I get comments! We have alot in common! I have two boys too. My oldest, Seth, is a Freshman at Jacksonville State University and my youngest, Cameron is a sophomore in high school! 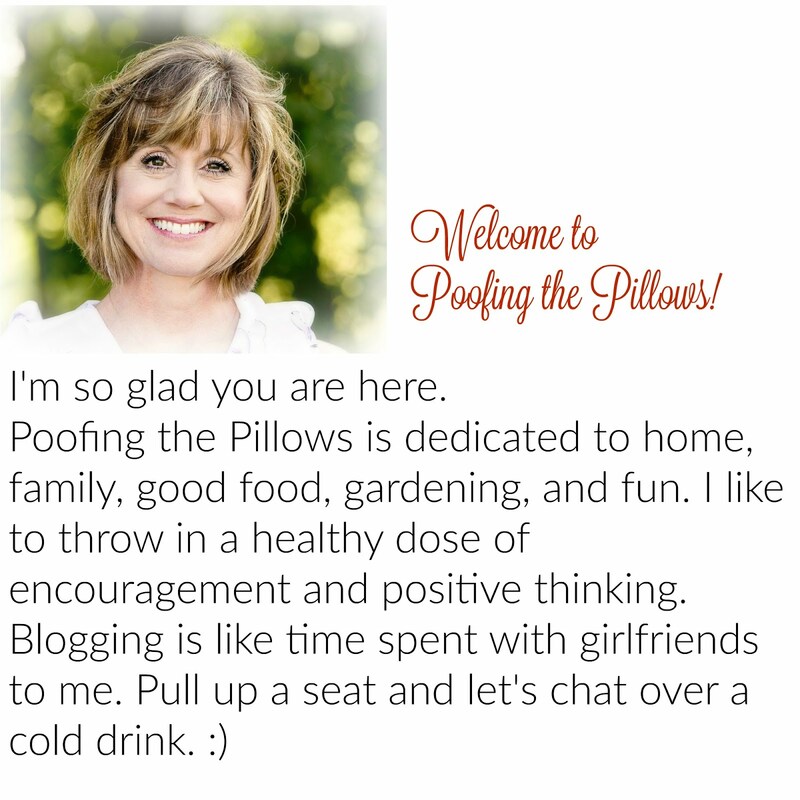 I love your blog and will visit often! It's just the principle of evolution to perfection. It looks great....and I think it's pretty funny that your hubby thinks you need ball fringe......maybe he's right!!! Good job so far! Oh Stacey, I love it. I am hoping to redo my kitchen later this spring or summer and I am looking for a very soft yellow (accents of blue and white). Thank you for sharing your paint color...I will go look at that one. Stacey, I can't believe you could even type after making those button covers...heehee ;) I think your mistreat is beautiful...I have made one, for my kitchen and your right...it's not that easy! You did a fantastic job! I love the contrast!!! Looks great! Love the colors. Your new kitchen valance turned out great...love both of the fabrics you chose! I'm still trying to pick out fabric for some living room/dining room curtains. It takes me forever to make decisions! They turned out great. I love those clips too. The Nester would be proud. I can't wait to see the final result. I'm with you Stacey. Those projects that look so easy on blogs are way over my head. I think I am to old to run all over to gather all the stuff in the first place. You on the other hand, did a great job on your curtain. I really love the colors that you are using. Can't wait to see more of the whole room. I have some windows in my home that definitely need your touch, creativity and sense of color. When can you come??? You did a great job! I think they look so nice, especially with the color of paint that you chose. And, you did not have to use a sewing machine...right? Stacey, you are so right about my "friends" thinking I am nuts when I talk about my blogger friends! They do look at me like I am crazy! My friends are wonderful and fantastic and they just "complete me" (lol) but sadly, only one of them enjoys decorating like I do. They don't like flea markets, they don't care about yard sales, they don't frequent the home sections of TJ Maxx and Marshalls and Tuesday Morning and Big Lots!! So this has been the most wonderful experience for me!! I have already met so many unbelieveably giving and talented women that have been so kind to me! I am so thankful I stumbled into this world! You are one talented lady! I absolutely love what you've done...wouldn't change a thing! These look great! I love the fabric you chose! The buttons add such a nice detail. Beautiful! You are so funny! I would be doing the same thing. No project is ever simple once I get involved. I think you did a great job!! Very sweet! I took down all my curtains due to allergies. Kind of boring without them. So I have to make the yard look good so people don't notice the lack of them at my windows! They look great in your window! Very cute...love it girl! Great detail too! OK...you're telling me, Hosta??? OH...I so miss the South in Spring. It's in the 30's now and thought I just heard sleet falling...sigh. Winter's in MI are sooo long. I think fringe would add some extra pizazz Stacey ! You did a fantastic job on your valance sweetie .I love it. Great colors! I love it! Nice to know that someone else runs all over town to save a few bucks. I am so with you! lol! Hi I just found your blog and read your post laughing about your adventures in mistreating your windows. I understand completely! I always manage to end up with an decorating idea that I can't find in reality. I think your new curtains look great *smiles* I just redid mine too! I love your curtains, great job. Have you ever thought about making your own fringe? I have been in the process of making new bedding and loved the loopy fringe but it is so expensive! Then I saw Magnolia Pearls book and saw that she had made her own out of silk I think. I had quite a bit of silk fabric left so I made my own an I love it. It is time consuming(why I'm not finished) but so gorgeous. Email me and I will tell you how I did it. Stacey, Checked out the color you painted the kitchen and it is beautiful. You are braver than me, I would never attempt to do any kind of window treatment if it is not done with napkings or towels. What you did looks great and remember this is your house and you must satisfy yourself. BUT..I do understand how you feel, I do the same. Take some pictures of your kitchen. I think they turned out great Stacey! I would love to see a whole shot of your kitchen!! That turned out great! I can relate about not wanting to pay so much for fringe! I'd love to see more of the kitchen. Hi, Stacey girl...just stopping by to wish you a great week!! That is so creative. I love it. Stacy, come back to grannymountain.blogspot.com and click on the sidebar owl...it's a link to owl's nesting video that's facinating!